The 2017 Mercedes-Benz C-Class Sedan has crafted a first-class interior environment accented by driver-focused controls and cutting-edge features. Meticulously designed to ensure a prestigious driving experience, the cabin supplies everything you could ask for, whether you’re taking a cross-country journey or simply traveling between Alpharetta and John’s Creek. 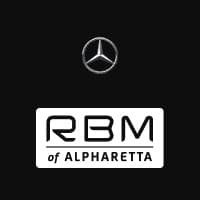 Read on before visiting RBM of Alpharetta to take the C-Class Sedan for a spin! The 2017 Mercedes-Benz C-Class Sedan is immediately impressive thanks to a cascading console, modern finishes, and driver-focused controls. From your driver’s seat, you’ll wrap your hands around a multi-function 3-spoke steering with Nappa leather-wrapped rim, perforated side grips, and fingertip controls for audio, Bluetooth®* phone, and available voice control. Dual high-resolution screens display your entertainment, information, and vehicle settings. A 7-inch freestanding screen takes in your audio and optional navigation displays, while a second color screen with illustrated menus lets you keep tabs on driving systems. A central controller with rotary knobs makes control feel effortless, and you can also opt for a touchpad controller that reads swipes, pinches, and even handwriting. The 2017 Mercedes-Benz C-Class Sedan lives by the philosophy that a vehicle should be more than a way to make it from A to B. With the following high-grade entertainment features onboard, every journey feels more like a refreshing break to savor than a chore that needs to be tolerated. FrontBass System: Utilizes the very bodyshell of the C-Class Sedan, the FrontBass system uses front frame members as resonance chambers for an under-dash subwoofer. The result is rich, immersive sound. In-car Wi-Fi Hotspot: Uses your car’s antenna to create a more reliable internet connection than could be provided by your smartphone, ensuring unrivaled on-the-go connectivity. Burmester® Surround Sound System: This surround-sound system has been tailored specifically around the C-Class’s interior dimensions. 13 high-quality speakers and a 590-watt 9-channel digital amplifier deliver concert-level sound through intricately detailed aluminum speaker grilles. The Mercedes-Benz brand has been built around the highest standards of interior luxury, so drivers can expect nothing less than upscale seating and a whole host of indulgent comfort features from the 2017 Mercedes-Benz C-Class Sedan. 14-Way Power Driver’s Seat: Comes with 4-way power lumbar control to deliver exceptional support, plus a memory function to store three separate settings. Dual-Zone Automatic Climate Control: Provides separate left and right temperature controls, plus a dust and pollen filter. Seat Belt Presenters: When you get inside the Mercedes-Benz C-Class Sedan and close the door, seat-belt presenters automatically extend to make even buckling up feel easier. It’s hard to properly appreciate just how completely the interior of the 2017 Mercedes-Benz C-Class Sedan works around your wants and needs without actually experiencing it for yourself, and you can do just that by visiting RBM of Alpharetta. Alternatively, feel free to contact one of our team members for further information.